I am directing Camp Invention – Brooklyn STEM Academy! Some parents need your help so their children can participate in this educational summer program. Camp Invention provides an opportunity for young minds to exercise their creativity and use their imagination in ways they don’t normally get to in the classroom. Please consider donating at Crowd-Funding by May 23rd! Last year we were able to help over 20 students and raise over $2300. I want to break that record this year! Please help the students of our community. You may donate online. Thank you! Help us celebrate our one-year Artie-versary!! We are so happy to have been a part of the Martinsville community for one whole year! We will have events ALL DAY including story time, a family board game and movie night. We will also have TONS of giveaways! Star Wars yo-yo’s for the first 54 customers, cupcakes for the first 54 guests, Super Sports gift certificate for our first customer, F&FT gift certificate for our second customer, Candy Kitchen gift certificates for our 4th and 5th customers and a free $100 item for our 54th customer!!! Balloons will be given all day to “Porg” sized guests! Check out our FB page for all the latest details! Blue Eyes and Grey Skies! *A service fee applies to online sales. By request, we have extended our Thursday & Friday hours. The full menu including “breakfast for dinner” is available. Also, burgers, fries, smoothies, and chicken & waffles! We will also be offering dinner specials 4 – 8! You asked for it…Now It’s easier to Come and get your Whitch on! A final push is underway to raise the necessary $2,500 needed for the state historical marker honoring Glenn Curtis, legendary Martinsville basketball coach and school superintendent. “We’re close to meeting our goal, but still need a few hundred dollars to reach the goal,” Dave Reddick said. 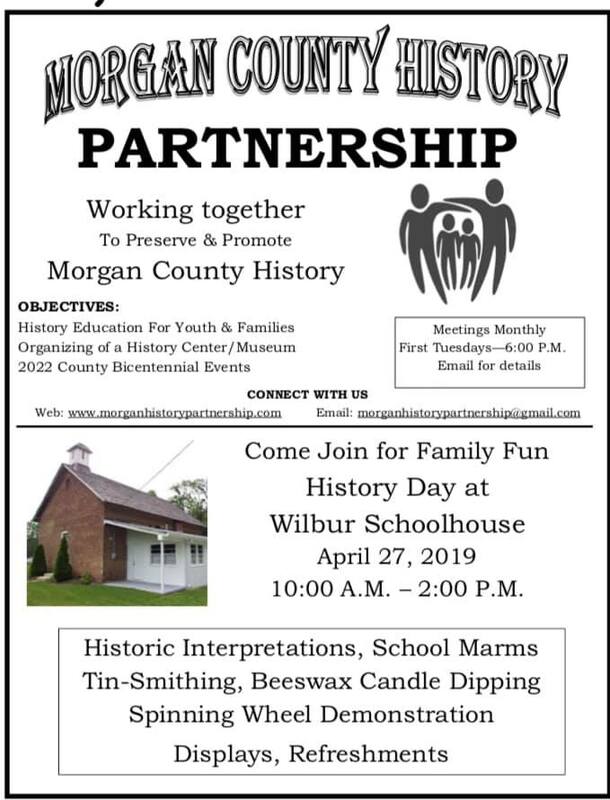 He is working with the Indiana Historical Bureau on seeing the marker being erected in front of the Curtis Gym. 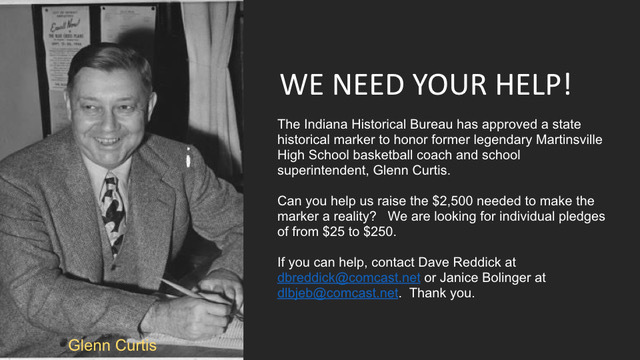 Anyone who would like to contribute to the Curtis marker should contact Reddick at: dbreddick@comcast.net. 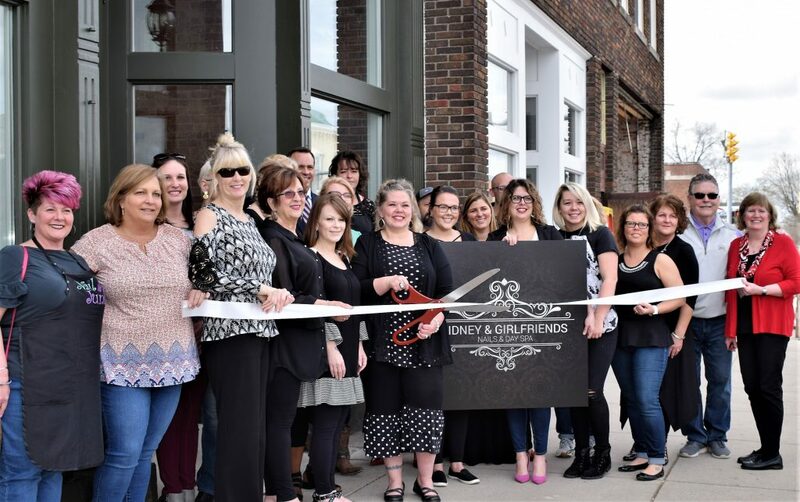 The Martinsville Chamber was excited to conduct a ribbon cutting for Sidney & Girlfriends Nails & Day Spa as they celebrated their grand opening in the beautifully transformed building on the south side of the historic downtown square. Invite a friend to join you and check out this full day spa specializing in hair, skin and nail care. Licensed professionals provide therapeutic and cosmetic services for improving health, beauty, and relaxation through personal care treatments such as nails, manicures, pedicures, massage, waxing, facials, hair services, and permanent makeup in a nurturing, clean, safe & caring atmosphere. Stop in to welcome Sidney Stallsworth and her girlfriends to the downtown community or give them a call at 317.834.3930. Thanks to representatives from Artesian Group, D. & O. 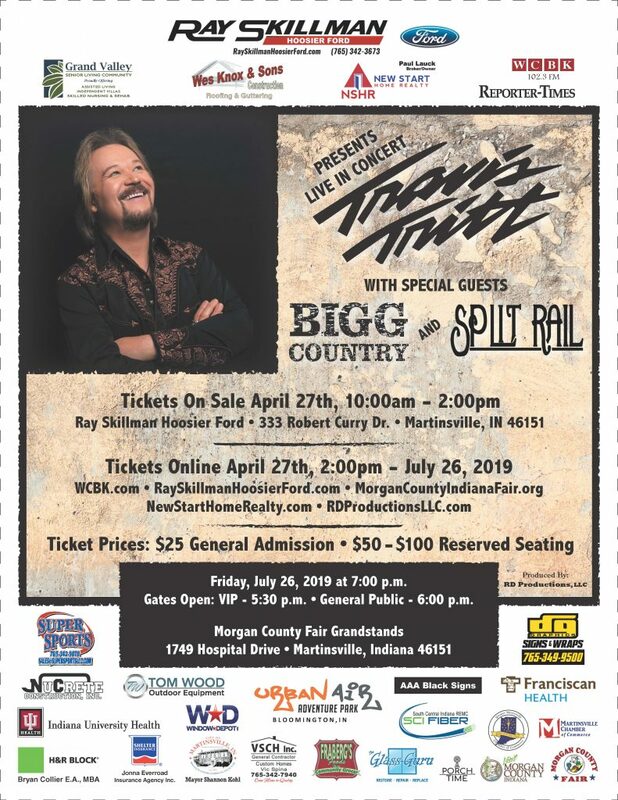 Enterprises, and Bill Tackett Construction for joining us in our celebration! View more photos of this beautiful spa!